Product #5620 | SKU CRA-201AU | 0.0 (no ratings yet) Thanks for your rating! 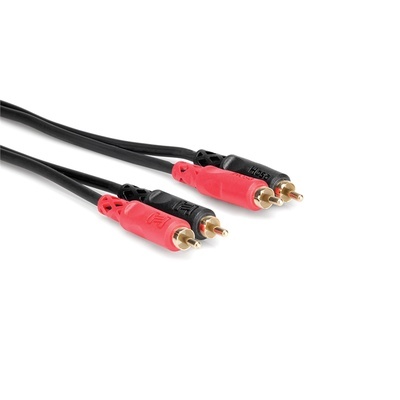 This Hosa 2-RCA Male to 2-RCA Male Cable is a dual audio cable that is ideal for left and right audio applications. This cable's heavy-duty injection-molded terminations offer outstanding performance and durability, and feature gold plated contacts which provide maximum conductivity and corrosion prevention.